Even close relatives may have to pay some inheritance tax. Update: Indiana has retroactively repealed its inheritance tax, effective January 1, 2013. The change in the law was contained in the state's two-year budget, signed by the governor on May 9, 2013. Inheritance tax is still due from those who inherited before 2013, under the rules discussed below. Indiana’s inheritance tax is imposed on certain people who inherit money from someone who was an Indiana resident or owned property (real estate or other tangible property) in the state. Indiana’s inheritance tax is imposed on certain people who inherit money from someone who was an Indiana resident or owned property (real estate or other tangible property) in the state. The tax rate is based on the relationship of the inheritor to the deceased person. It doesn’t matter how large the entire estate is. In 2012, the Indiana legislature voted to abolish the state’s inheritance tax. That process (outlined in Indiana Senate Bill 923) will take ten years, completely eliminating the tax in 2022. Just one return is filed, even if several inheritors owe inheritance tax. It’s the job of the personal representative (the executor named in the will) to file the inheritance tax return if one is required. If there’s no probate court proceeding, and so no personal representative has been appointed, then an heir, trustee, surviving joint owner, or other inheritor may file. Class A. This group includes the deceased person’s parents, children, stepchildren, grandparents, grandchildren, and other lineal ancestors and lineal descendants. These people don’t owe tax unless they inherit more than $100,000. On July 1, 2012, Class A was expanded to include the spouse, widow, or widower of a child or stepchild, and the exempt amount went up to $250,000. Class B. Brothers, sisters, lineal descendants of brothers or sisters, and daughters- and sons-in-law fall into this category. They do not owe inheritance tax unless they inherit more than $500. Class C. Anyone who doesn’t fit into Class A or B goes here—including, for example, aunts, uncles, cousins, friends, nieces and nephews by marriage, and corporations. 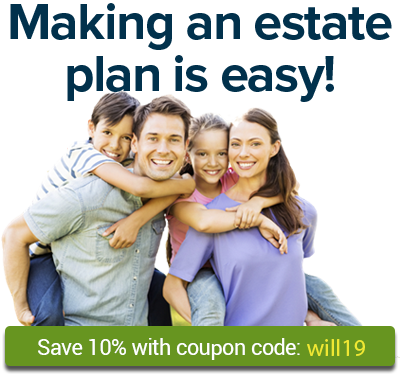 Only $100 is exempt from inheritance tax. Each beneficiary (except those who are entirely exempt from the tax) must pay tax on the amount he or she inherited, minus the exempt amount. For example, a lucky grandchild who inherits $150,000 would owe tax on $50,000, because for Class A beneficiaries no tax is due on the first $100,000 inherited. The tax rate that’s applied to the taxable amount depends on both what class the beneficiary belongs to and the amount inherited. For example, Delia leaves $250,000 to her daughter and $10,000 to her brother’s son. The daughter is a Class A beneficiary, with an exemption of $100,000. She owes $750 plus 3% of the amount over $50,000, for a total tax of $3,750. The nephew is in Class B, so he owes tax on the amount over $500. His tax rate is 7%, so he’ll owe $665. If no inheritors owe any inheritance tax, the personal representative must file a fill-in-the-blanks form (“Affidavit of No Inheritance Tax Due”) stating that no tax is due. If the estate contained real estate, the affidavit should be recorded with the county recorder; otherwise there is an automatic statutory lien (claim) on the real estate to make sure inheritance tax is paid. Inheritance tax returns (Form IH-6), Affidavit of No Inheritance Tax Due (Form IH-Exem), instructions, and current tax rates are available on the Indiana Department of Revenue website. If an inheritance tax return is necessary, it must be filed nine months after the date of death. (If, however, you’re also filing a federal estate tax return and get an extension from the IRS, Indiana automatically grants the same extension.) A personal representative who doesn’t file on time can be removed by the probate court. The court can also fine the personal representative 50 cents a day or $50, whichever is less, unless the court finds that there was a justifiable excuse for not filing the return on time. The tax return lists everything that the deceased person owned and who inherits what. Because the inheritor’s family relationship to the deceased person determines the tax rate, that must be stated as well. The return must also state the value of the deceased person’s assets as of the date of death (or as of an alternate valuation date if you use that date for federal estate tax purposes as well). The tax return is filed with the probate court in the county in which the deceased person resided at the time of death. When the return is filed, copies of the will (if any) and the federal estate tax return (if any) must be attached. The tax payment is made to the county treasurer. If it isn’t paid by a year after the death, interest accrues on the unpaid amount.